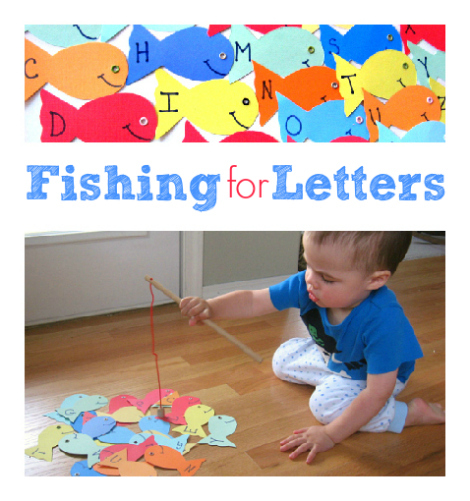 This fishing for letters game was a favorite in my classroom and is really easy to make. 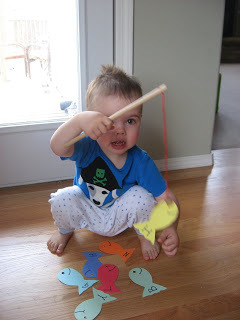 I love fishing games for kids because they teach them so many things, not just letter recognition. Persistence, hand-eye coordination, and patience are a few! Tuck those kids in, grab some scissors and start cutting, by morning you’ll have a fun fishing game to play with your kids! Gather your materials. 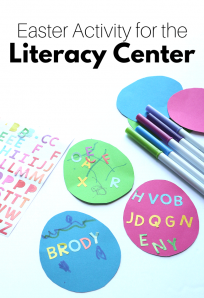 You will need multiple colors of cardstock or sturdy construction paper, a marker, scissors, eyelets and an eyelet setter, or you can also use paper clips! Draw a fish to make a template. Make sure the tail is large enough to write a letter on it. 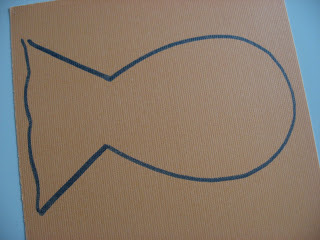 Cut it out and use this to trace all the fish. 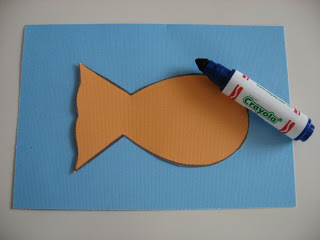 Start tracing the fish on your cardstock/construction paper. I normally trace one for every two fish. Get comfy on your couch, and cut! Layer two or three pieces of paper to make it go faster but be careful , the paper can shift. Add a letter on the tail and a smile too. If you are using paper clips add an eye too! 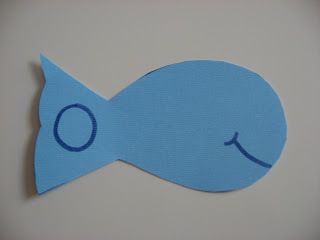 If you are using the eyelet option, add the eyelet as the eye for each fish. The eyelet should be magnetic, double check though since some are so heavily coated with paint the fishing pole may not pick them up! 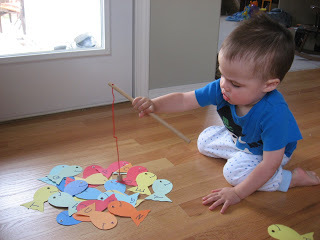 I am using a fishing rod that came with a Melissa and Doug puzzle but you can easily make one with a chop stick, ruler or blunt knitting needle. 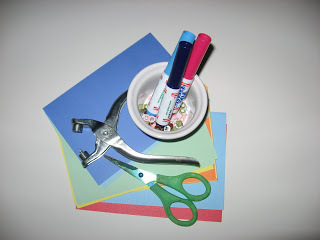 Add some yarn or ribbon with a strong magnet on the end and you are set! Wake your baby ( aren’t they always our babies? ) and show them the new game! 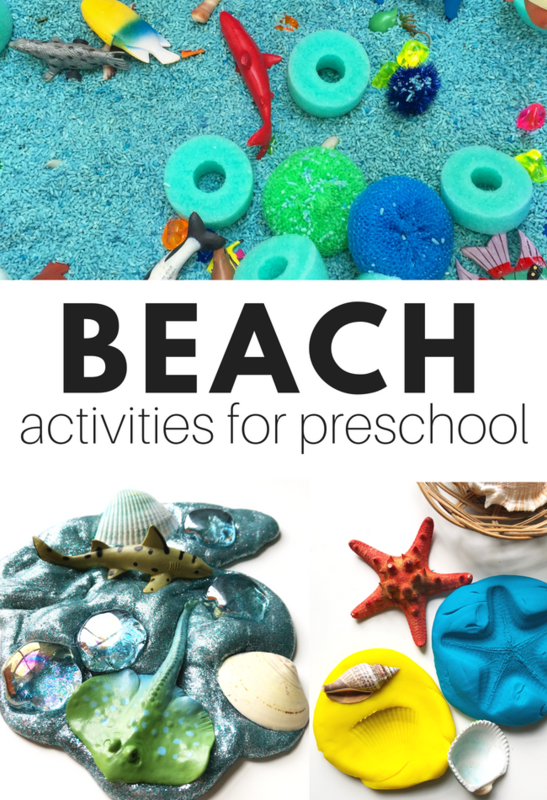 Find great beach and under the sea themed activities here! 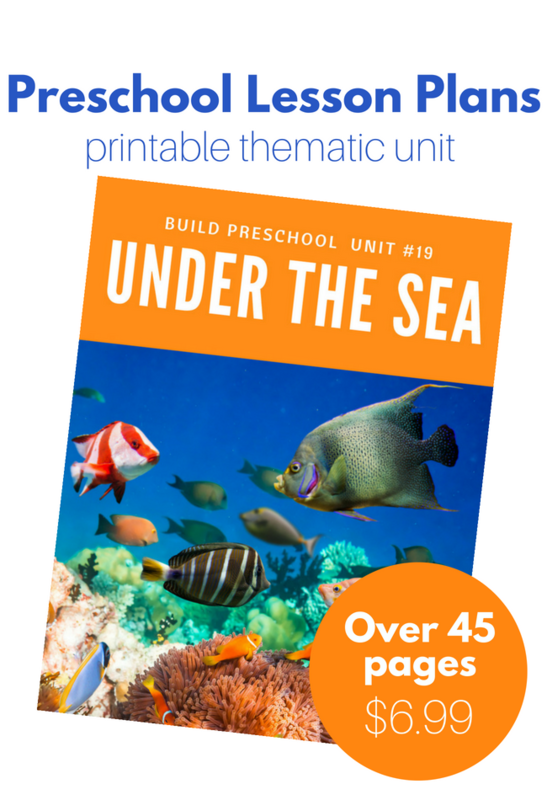 Who doesn’t love a good under the sea book? These are the best! Read the full list here. 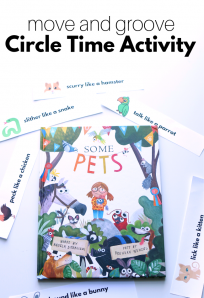 Read more about this great thematic unit here! 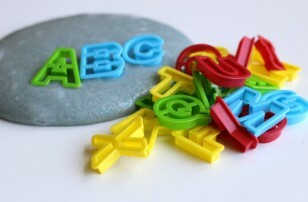 Next Post: Letter of the Week T t ! Hi! I love your site. I’ve been here several times for ideas and love this one. You said that if you don’t have eyelets, you could use a paperclip. Do you hook the paperclip through the mouth like a hook? Yes that’s exactly what you do ! I was wondering the same thing about the paper clips. My eyelets were magnetic, but not strong enough to pick them up so I want to try with paperclips. Did you punch a hole by the mouth to put the paperclip through? Thanks! thanks for another great tip! I was lazy and just taped the paperclips to the fish. Adam loved to fish! Thanks for the great idea. 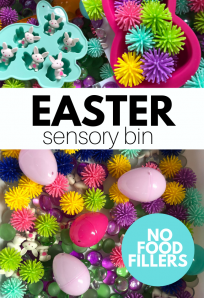 Someone gave me the link to your blog and I think it’s wonderful! We are going to try the lacing letter next. If you are using paper clips you can thread the paper clip though the paper. They will stay on well that way! We have a fishing game at school and the children just LOVE it. .-= Paula´s last blog ..Life update 4/15/09 =-. Hi this will be great – ds is mad on fishing at the moment has a boat made from a box this’ll be a huge hit. 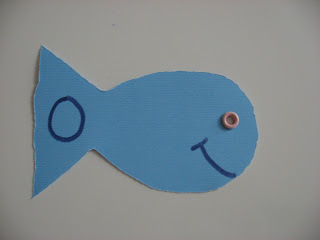 I’m thinking of making littler fish as well and putting lowercase letters on them. He’s 3 1/2… hopefully this won’t be overloading him. Maybe I’ll have two pack? I don’t think it would overwhelm him! If he seems overwhelmed though you can limit the fish and only have 5-10 out at a time. I just want to say that you are my hero, I have to send you some pics of the things my daughters have created thanks to your site. You saved me!!! This is my first year being at home with my girls and I thought I was gonna go crazy until I found this site. I have a 4 and a 2 year old. 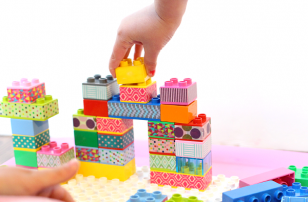 We can’t afford preschool so I am trying to teach them as much as I can. 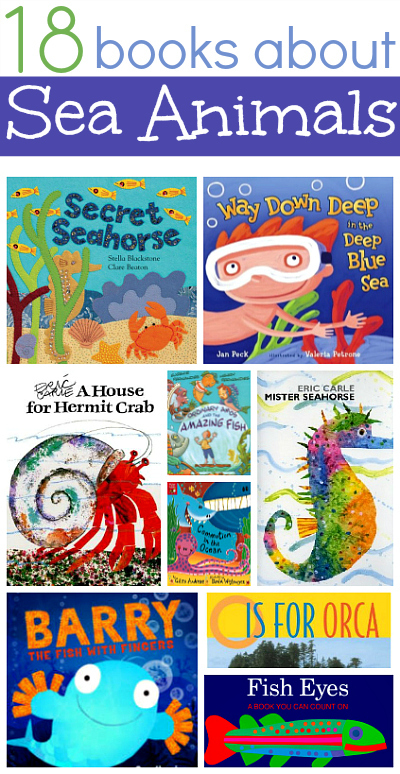 I am a Math and Reading teacher, so I know some things, but not enough for little ones. Anyway, thank yo so much. I just have a question, do you have a routine with your kid, or you just say ok lets do this, I’ve been trying to have a theme every week with a letter and so, we do lots of Math (of course) and I am teaching her everything in Spanish (that’s my native language) like this week we are learning the letter f, because fire is fuego in Spanish, so I could do your craft, We are also doing the flag tomorrow cause is veterans day and I thought it was good to talk about fall, eventhough it is not the same in Spanish, anyway, thanks for all your ideas. I’ve seen this idea, but wasn’t sure how to make the fish – thanks for the great instructions. I think we will do this with numbers or phonemes since we’ve got the letters down. 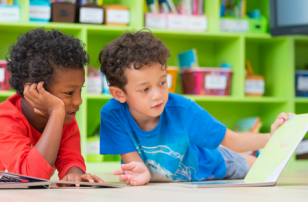 I am a teacher in a PreK class for children with disabilities. 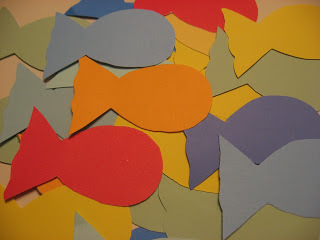 I have also made these with the foam sheets from the dollar store and used the fish cut out from the Ellison machine. Sometimes I do it with laminated construction paper, which seems to be a lot sturdier and more indestructible too. Also, I found fishing sets that actually reel in at Tuesday Morning for $1.99 if you have that store near you. Thanks for your site. 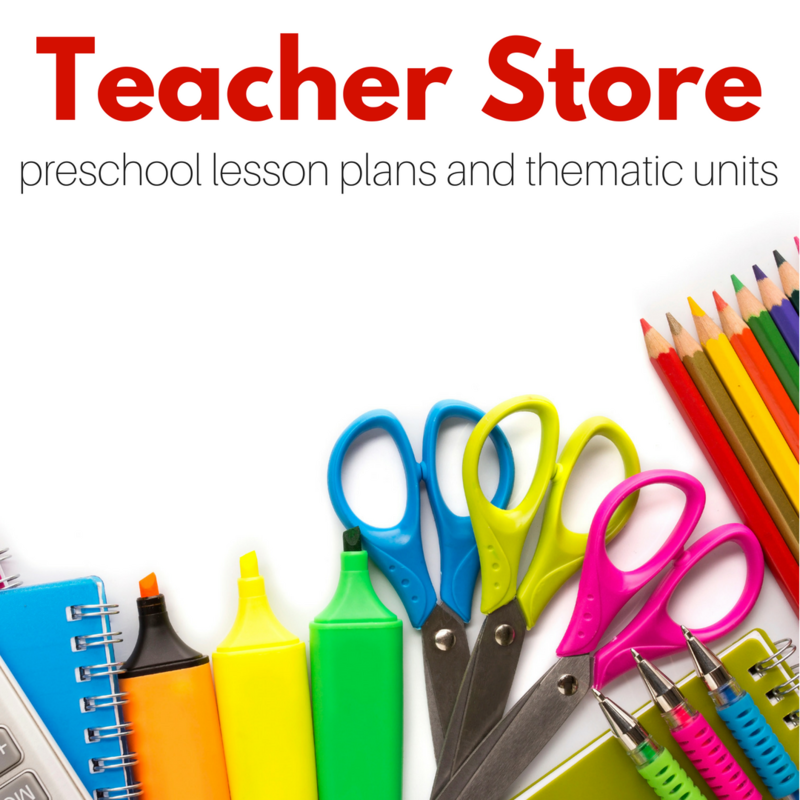 This is my first year in PreK and I get tons of ideas for school and my littles at home!! !